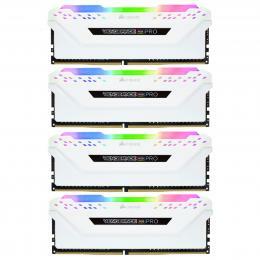 Home Tips & News Top RGB Ram kits at PB Tech! 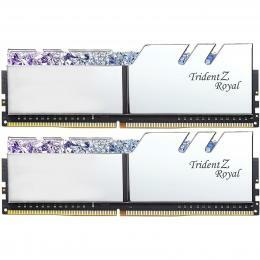 If you've been looking for a great kit of PC RAM for your next upgrade this is one for you! We've assembled an assortment of excellent kits from G. Skill, Corsair, Crucial and Kingston - and they all have one thing in common - glorious RGB! Crucial’s Ballistix Tracer is really quite special. For more than 35 years, Micron has engineered old-school DDR memory all the way to Ballistix DDR4 modules. 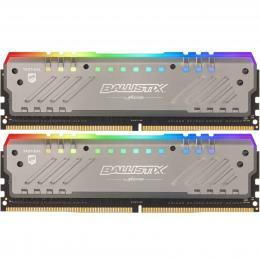 As the only major brand of gaming memory that’s built and tested from start to finish by a major DRAM manufacturer, Crucial Ballistix understandably delivers a high level of reliability which is backed by a limited lifetime warranty (unless you're in Germany, in which case it's 10 years). Featuring 16 LEDs in 8 zones built into the top edge of each module the customisation is excellent, as you'd expect, but you can also create custom light bar with a 3D printer for these too. The 3D printer design files used as a starting point to create your own lightbar can be downloaded for free. Crucial have their own software package named M.O.D. Utility, but this kit is also compatible with the latest version of Asus AURA and Gigabyte FUSION so you can customise your RGB LED colours and brightness, switch up display patterns, or sync your memory's lights with other components using your motherboard's provided software. We expect you've all seen this G. Skill Trident Z in builds already. 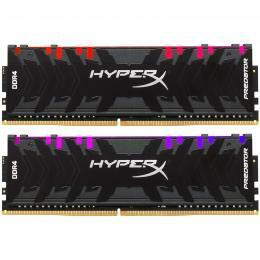 It’s called "the most brilliant RGB Ram" on our website for a reason. 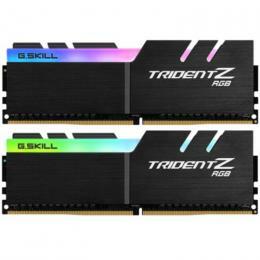 The Trident Z heat spreader design is award-winning and G.Skill has custom engineered a ten-layer PCB offering maximum stability. Combined with the DDR4 memory kit gives an unbeatable performance and software driven customisation, and that's really what puts the G.Skill Trident Z RGB into its top spot. 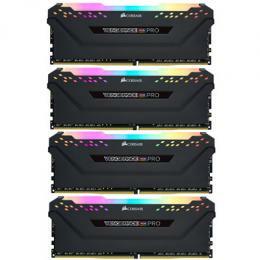 Trident Z RGB RAM has its own professional software package with which you can adjust the lighting on five individual zones per DIMM, choose from a range of effects and customise as you see fit, but it also works perfectly with Asus AURA (who had a hand in designing the G.Skill software too), Gigabyte FUSION and even ASRock POLYCHROME! 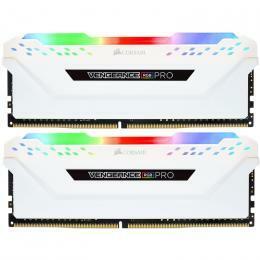 Those in the market for some RGB RAM have undoubtedly seen the new version of Corsair Vengeance Pro RGB already - with its mesmerising multi-zone RGB lighting and an aluminium heat spreader that comes in both black and white to match your build perfectly. Corsairs own iCUE software synchronises your RGB lighting control across all compatible products with dozens of preset lighting profiles available to customise to your desire. PLEASE NOTE: ASUS AURA / Kingston is currently disabled as of version 1.07.22 - we will update as soon as the new driver releases. Still working perfectly with AORUS Fusion. 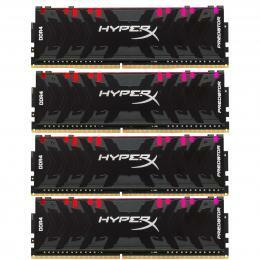 A new arrival to the RGB RAM range is this stunning Kingston HyperX Predator DDR4. This is high performance and dependable, so much so that there is a lifetime warranty. The design has been optimised for the latest chipsets with a black aluminium heat spreader giving it an edgy look with great low clearance if you're using a large heatsink on your CPU. 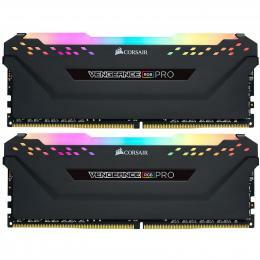 The memory is compatible with lighting control software from a range of motherboard vendors including the big ones - ASUS Aura Sync* & Gigabyte RGB Fusion. 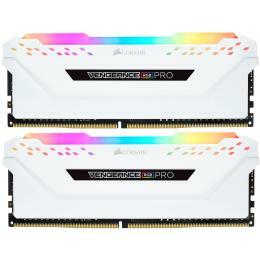 This means we can have our ram actually change colour depending on system usage, temperature or just dance around in a pretty rainbow if we want! What makes the Kingston RGB kit special though is the HyperX IR Sync Technology which works to enhance the visual experience by keeping the module lighting in perfect sync - great if you're a bit OCD like me! 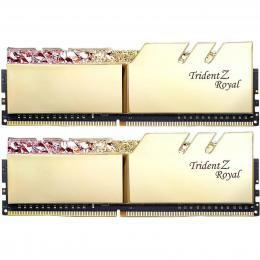 Rounding off our list we have the absolutely stunning G.Skill Royal, which comes in both Silver and Gold versions. With the full-length crystalline lightbar which features 8-zone RGB, it's easily the most LUXE kit you can get for your rig - and that gold is a perfect match for graphics cards like the Titan RTX - utterly glorious! This is just a small segment from our Desktop RAM category here at PB Tech, if this has given you itchy building feet be sure to check out our Custom PC building tool which has all these options loaded and many, many more! 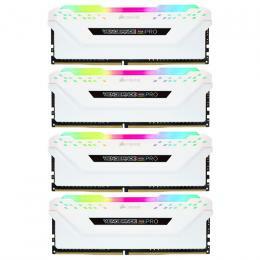 Shop RGB RAM at PB Tech!